The situation in the ATO zone can be characterized as relatively calm – only one instance of small arms fire by militants was observed [during the last 24 hours]. Russian-terrorist forces are actively conducting reconnaissance of the ATO forces’ combat positions using various methods – sabotage and reconnaissance groups, UAVs, and optoelectronic devices. The so-called state security authorities of the “LNR” and “DNR” [Luhansk and Donetsk Peoples’ Republics’] terrorist organizations are questioning local residents who had traveled to the territories under Ukraine’s control regarding the location and movements of Ukrainian troops, checkpoints, and fortified areas of the ATO forces. Illegal armed groups carry out engineering and sapper work in their rear, equipping the second tier of defense. Terrorists carried out chaotic fire on the neutral zone in the vicinity of Lozove (Artemivsk direction of operation). In addition, movement of infantry groups was observed at the front line: in the area of Shchastya and in the bend of the Seversky Donets river. The active movement and relocation of illegal armed groups (both in the front line and in the tactical rear of the terrorists) were detected in the coastal areas, from the settlement of Hranitne towards Mariupol. The rotation of army (military) intelligence units of the Russian Armed Forces continues into its second week. These units are responsible for carrying out “mop-up” of the command corps in the so-called “militia” in order to establish full control of Russian security services and the General Staff over the armed gangs. Terrorists blocked the dam on the Kalmius river in the Starobesheve district in order to lower the water levels in the Pavlopilske reservoir located on the Novoselivka–Chermalyk–Pavlopil–Pyshchevyk demarcation line. Falling water levels expose all fords in the river, which would allow the enemy to cross the basin at this section of the front. A tank unit of militants (six tanks) arrived in Sakhanka to reinforce a mixed company deployed in the area. In the Petrovskyi district of Donetsk, terrorists carried out redeployment and shifted the positions of mortar detachments (82 mm mortars and 100 mm “Rapira” cannons). 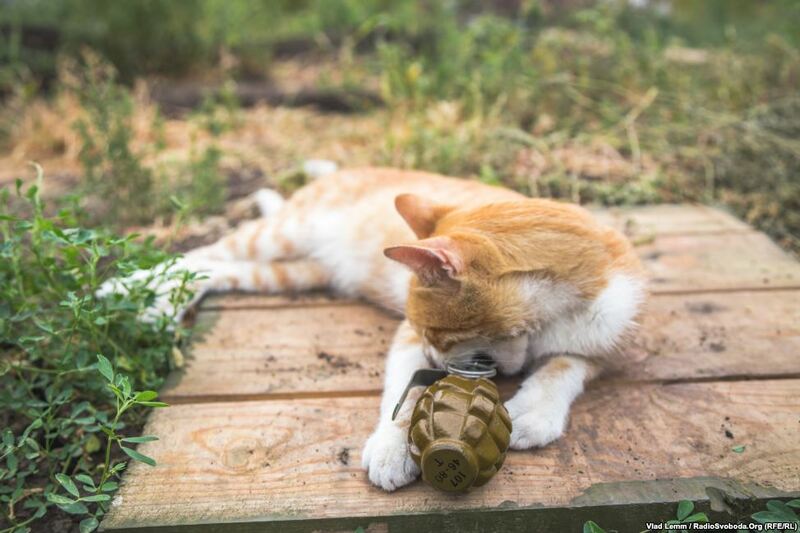 In the area of ​​Sanzharivka, militants equipped mortar positions (a battery of 120 mm mortars). An armored group of terrorists (four BMP-1 infantry fighting vehicles, and two APCs: BTR-70 and BTR-80) arrived to Perevalsk from Luhansk. An accumulation of combat armored vehicles with the insignia of the Russian Armed Forces was detected in the town of Oleksandrivka in the Volnovakha district. The so-called “government” of the terrorist organization “DNR” is attempting to “legitimize” properties located on the occupied territories. On September 12, a “notary” office opened its doors; it is staffed mainly by new personnel undergoing on-the-job training. Notarial registers will presumably launch in November–December of 2015. To ensure the functioning of notaries and offices of civil registration of the so-called “Justice Ministry of the DNR” between October and December of 2015, the “DNR” leader [Aleksandr] Zakharchenko signed Order #166 from 09.08.15 on the production of standard [official] document forms. The draft law of the “DNR” “On Notary Services” is [currently] under consideration by the so-called “People’s Council of the DNR.” The plan is to manufacture 139,800 blank forms and 19,700 (civil) property registration blanks, to be used in notary services.